Drambuie & Ginger Beer // Chic Tipples | Almost Chic. It's Saturday and the boyfriend and I are trying to work our way through our alcohol cabinet (we need more space for gin obviously). This week we were determined to make better use of the bottle of Drambuie (a honey flavoured whisky liqueur, fyi) we've had in our stash for a while now. So far we've only ever been drinking it as a night cap over ice, which is lovely but sometimes you just don't fancy something so strong. With the weather starting to turn a bit Autumny I fancied something warming but still refreshing (I refuse to fully give in to fall weather just yet). 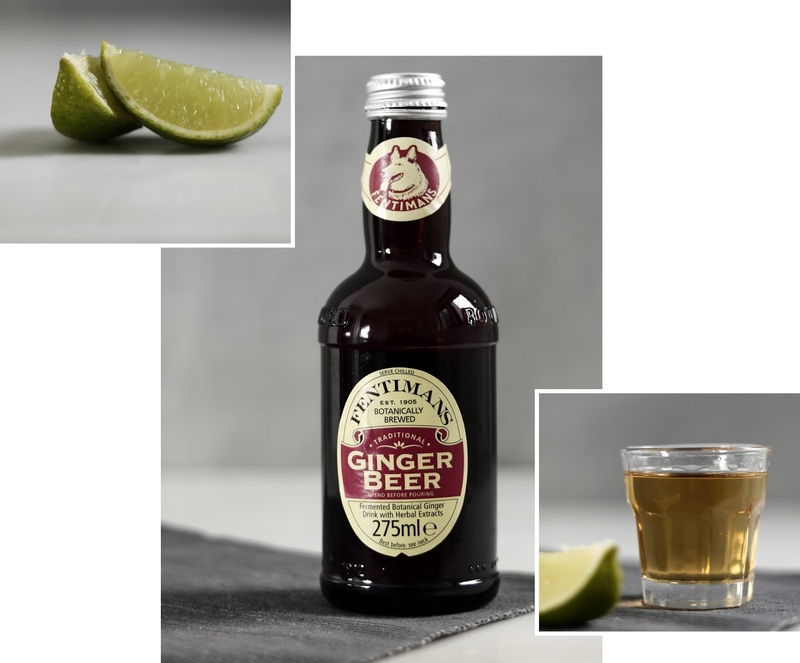 Cue a quick googling sesh to discover the very simple Drambuie and Ginger beer recommended by Drambuie themselves - so it must be good. I don't know about you but any drink that tastes sophisticated and looks fancy but doesn't require a whole load of effort and full professional bar set is an absolute win for me on a lazy Saturday evening. Pour the Drambuie into your tall glass over the ice. Add the lime wedges and top up with ginger beer. Stir then enjoy! Add a wee lime spiral if you aim to impress. This easy and quick drink would work well with most whisky liqueurs if you don't have any Drambuie to hand. We also tried it with Glayva and it was super delicious too. It's a great wee drink for serving to guests without having to spend the entire night muddling and shaking in the kitchen. Especially good for any out of town guests who'd like a taste of Scotland but aren't quite ready for a full on dram just yet. Or just for when you're feeling sassy on a Saturday night in wearing your PJs. Ok need one of these like NOW!! !